Many VC firms have hired designers lately, not as designers but as partners to help manage and select investments. Why are VCs suddenly so interested in design? During Slush there were a lot of buzz about design; speeches around the theme design in tech, and a panel discussion “Why design should be in every company’s DNA”, hosted by Design Forum Finland. Kolinen says that they at Design Forum Finland believe that with design heritage and top-level education combined with the Finnish startup scene there should be no obstacles, and that’s the reason design is spoken of at Slush. The panel discussion covered design’s role and impact in companies, the importance of branding and what human-to-human business really means, with panelists Jaana Beidler, Professor at Aalto University School of Arts, Design and Architecture, Andreas Rosenlew, Managing Partner at Grow Partners, Pyry Taanila, Industrial Designer & Co-Founder at Catchbox and Jaakko Wäänänen, CEO at Hellon. The session started with a discussion about design’s role in business, and Andreas Rosenlew commented that nowadays the highest valued company is also the most design-driven. Furthermore, the panelists praised the possibilities of multidisciplinary teams and Rosenlew said that there’s power when technology, finance and design are combined well. What stood out during the conversation was the importance of communication. Jaana Beidler said that something she has learned during her international career at companies like Nike and Patagonia, is that for getting their point across, designers need to learn to communicate with numbers, too. Even though the role of design is generally accepted to be vital for the success of enterprises, panelists felt like even more could be done. Jaakko Wäänänen commented that design companies need to look outside the industry as there are limitless amount of possibilities and huge markets in different industries such as service design and management consultant. 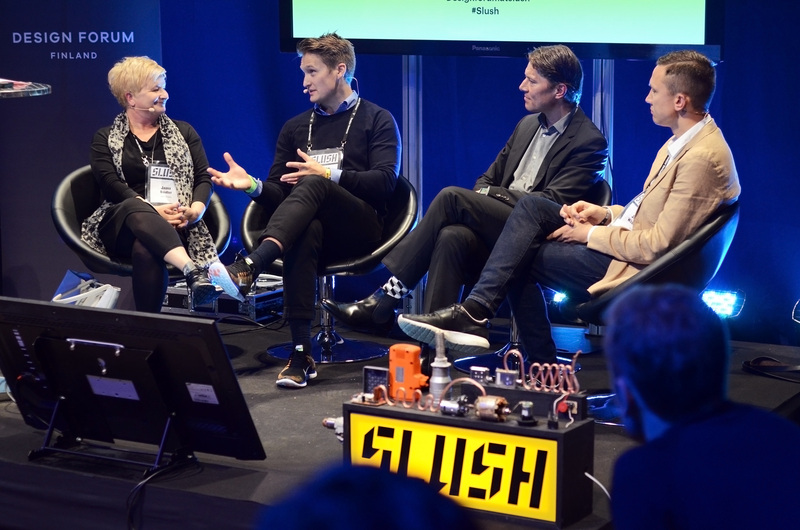 Pyry Taanila also brought up the point that design could be even better merged to the technology world Slush represents, and that there’s so many possibilities when technology and design are combined well. Lastly, Jaana emphasized that people must also dream big enough: “We need to have super big bold dreams and go for them”. 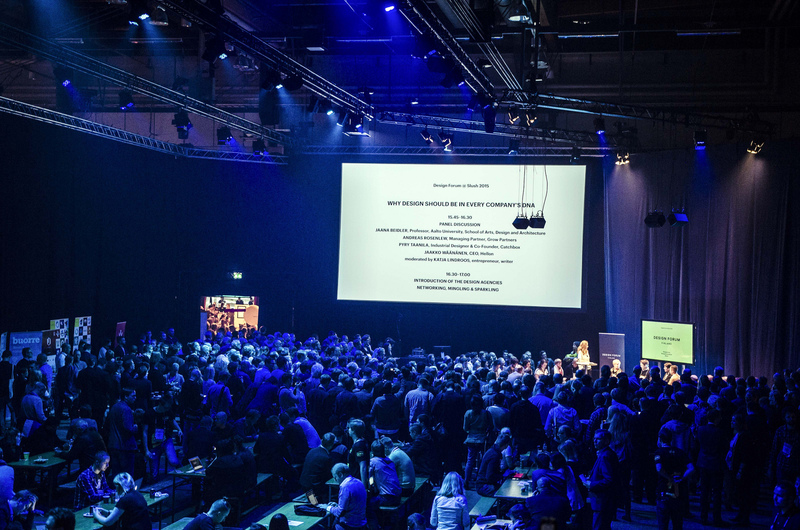 The Engine room where the panel discussion took place, was fully booked, so it seems there’s definitely interest for design, too, at Slush. We’ll see what happens next year!